Mandatory training for healthcare professionals is a compulsory requirement for all doctors, nurses, healthcare assistants and allied health professionals working with locum agencies in NHS trusts to work efficiently and safely. Our mandatory training for healthcare professionals cover all the key legislation, current UK regulations and best practice recommendations. Who should complete mandatory training for healthcare professionals courses? These mandatory training courses for healthcare professionals should be completed by all staff, whether they work directly for the NHS or other service providers or locum/recruitment agency workers. 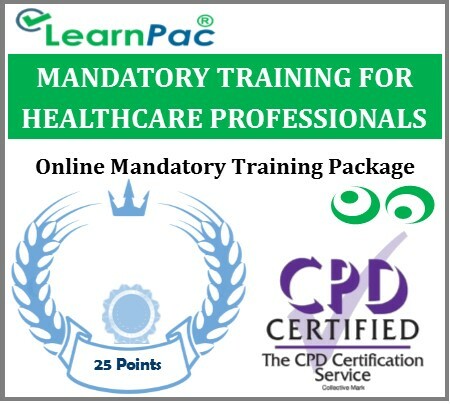 What does the mandatory training for healthcare professionals cover? All our Skills for Health CSTF aligned mandatory and statutory training resources for healthcare professionals are developed in line with universally accepted continuous professional development (CPD) standards and academic rigour. 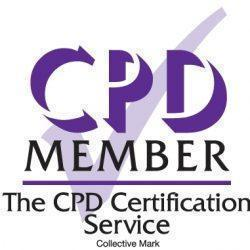 LearnPac Systems’ Skills for Health CSTF aligned mandatory training courses meet all the CPD standards, in line with CPD Certification Service requirements. What is mandatory training for healthcare professionals? Mandatory training is a compulsory requirement that places responsibility on healthcare organisations and staff to work in a safe and efficient way to ensure the best outcomes for patients. Mandatory training for healthcare professionals enables medical, nursing and healthcare staff to be compliant with their statutory and mandatory training requirements. Why is mandatory training for healthcare professionals required? Why is mandatory training for healthcare professionals important? Providing statutory and mandatory training is a key investment by NHS and private healthcare employers. With increasingly constrained budgets and time limitations, mandatory training for healthcare professionals plays an essential part in ensuring that high levels of care are delivered to patients at all times. LearnPac Systems works together with content developers and partner organisations to ensure that we consistently deliver high quality statutory and mandatory training for healthcare and social care professionals across the UK. What is the Skills for Health UK Core Skills Training Framework (CSTF)? In addition to the guidelines from Skills for Health’s Core Skills Framework, mandatory training for healthcare professionals needs to be adapted to the needs of the individual workplace, with guidelines available for specialist health and care sectors.